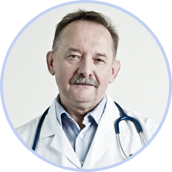 – one of the most renowned Obstetrics and Gynaecology centres in Poland. Award of the monthly magazine for pregnant women “M like mother”. Best for the Child 2004 for the best drink for children on the Polish market. Recommendation of Dr Marek Michalski, MD – Specialist in paediatrics and neonatology, Head of the Department of Neonatology at the J. Gromkowski District Specialist Hospital in Wrocław. First place in the test of mineral and spring waters, carried out by the Pro-Test Foundation, ordered by the Office of Competition and Consumer Protection. Positive opinion of the Institute “Monument – Child’s Health Centre”. Aaward of the monthly magazine “I have a Child” for the best water on the Polish market, designed for children.